Fourteen-year-old Rachel Marsh is nanny to John and Abigail Adams’ children and witnesses firsthand how tension builds in the feisty New England town in the two years before it erupts in the Boston Massacre. Friends become foes and families divide as British troops arrive in 1768 to force the outspoken Bostonians to toe the line and obey the British government. But the idea of liberty and self-government has taken hold, and once considered, can not now be set aside. At the same time, Rachel begins to take stock of her own life and future, and learns that to live life to its fullest and with integrity, one must seek the truth for oneself and take a stand. 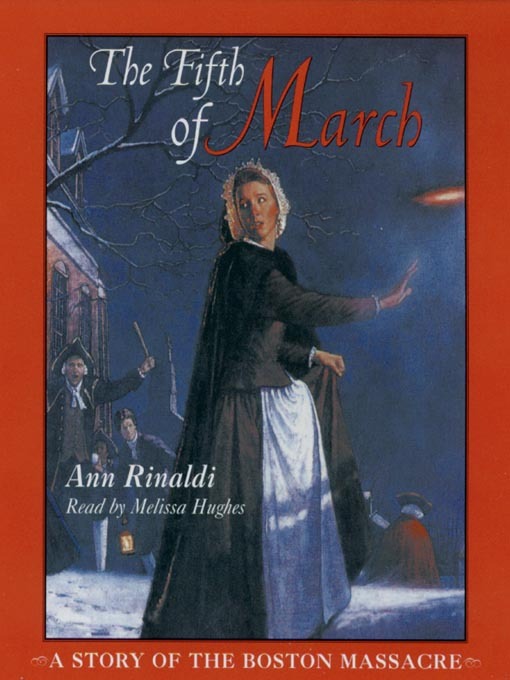 Ann Rinaldi, a master at making history come alive, creates a tense and front row seat for the listener as she uses the voice of young Rachel Marsh to underscore that American liberty was not easily won, but at great cost to those who would not let their dreams die.